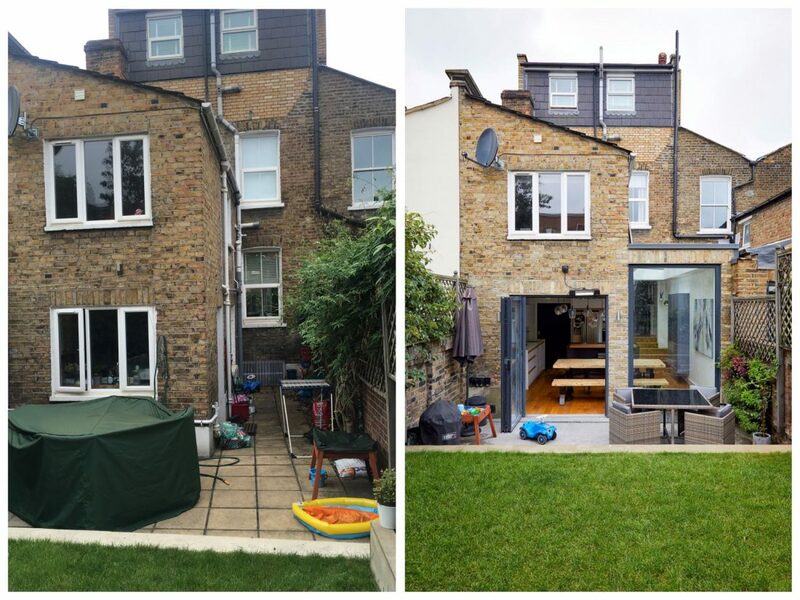 To design and furnish a new extension to the rear of the property, creating a large, modern, family kitchen and dining area. The kitchen and dining area will provide a more functional space for a young family, as well as being able to serve larger dining occasions when multiple family members are hosted. The colour scheme will continue the neutral, muted, contemporary tones throughout the house. Possible bifold doors will be added to help connect the dining room to the garden for extended living space in the summer months. The styling will be contemporary and sleek, with handless doors, flat colours and clean lines. A kitchen island will be introduced for maximum surface area and storage. Careful attention will be given to allow ease of movement around the kitchen, and avoid guests getting in the way. A pantry store will be created to easily access all dried goods and monitor stock levels. To blend this modern kitchen into its period property surroundings, unobtrusive architectural features, such as coving, will tie the extension into the rest of the building. All surfaces will be hardwearing and low maintenance, and clever use of void spaces, such as under the stairs, will be utilised for extra storage. Visual interest will be added by carefully placed display shelving, which will create interesting vistas from the reception room.